Rumba in Seattle has more than 500 rums in its collection and also offers guests a 'Tour of the Caribbean' featuring 60 rums, when completed allows entry into the Rumba rum society. This place is a little funky! But People! A rum bar in Seattle. Wow! It’s in a fairly new hip, not hipster, neighborhood. Next to Starbucks Uber premium coffee boutique. Definitely a local destination area. The rumtender was knowledge pairing my taste accurately. The crowd was mostly millennials but I felt right ar home as a short haired senior executive, ex hippie, enjoying the legacy of Rum! Seattle thanks for supporting such a great establishment! This place is excellent, and is very busy most of their business hours. I can get more than a little packed so do not expect a quiet place! 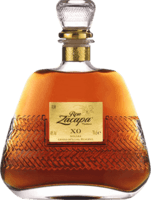 With that one issue the rum selection is outstanding, and each staff member I have interacted with has know their rum and made some incredible recommendations. I love this place so much. All the employees are extremely knowledgeable about their rums and eager to make recommendations or put together tasting flights. 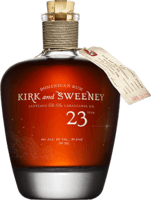 They have an amazing selection, offer a monthly bottle at cost to members of their Rum Society (yes, I am a proud coin-carrying member), and if that wasn't enough, their food is amazing too. Great place to sit at the bar and contemplate life or bring a group and blaze through their cocktail and tiki drink list. If you're anywhere near Seattle and you love rum, you owe it to yourself to visit at least once. You'll be back.